Hello all! 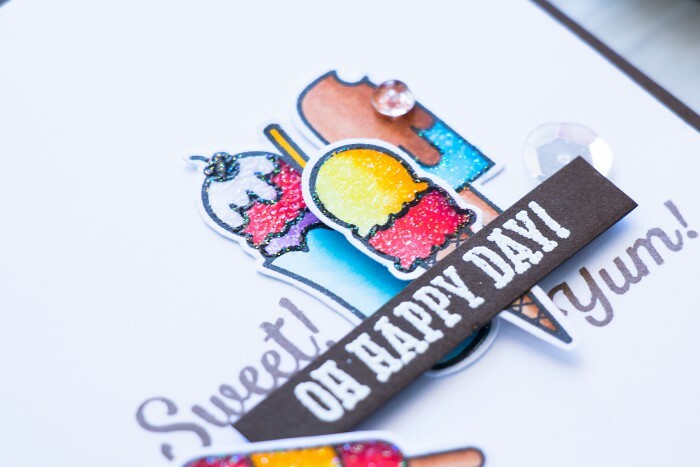 Heat embossing is such a great way to take a project to the next level, I love using embossing powder (usually clear or clear with a mix of glitter) to “sugar coat” my die cuts. I shared a Wet Fish card a couple weeks ago and that has sparked a desire to use embossing powder like that again. 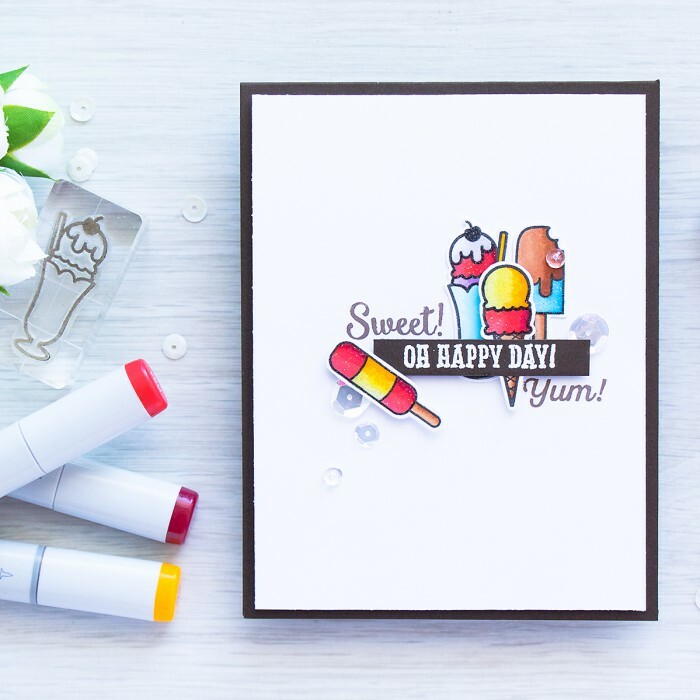 So today I’m sharing a Sweet Ice Cream card, I think it works great for a darling little invitation or a Birthday greeting card. 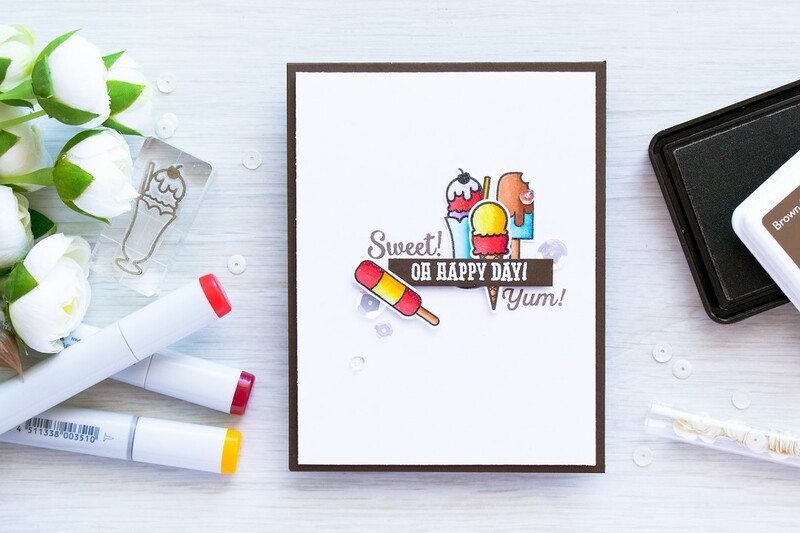 I used Hero Arts Oh Happy Day Mini Stamp Set by Lia Griffith, there are several different ice cream and dessert images plus a few sentiments included in this set. 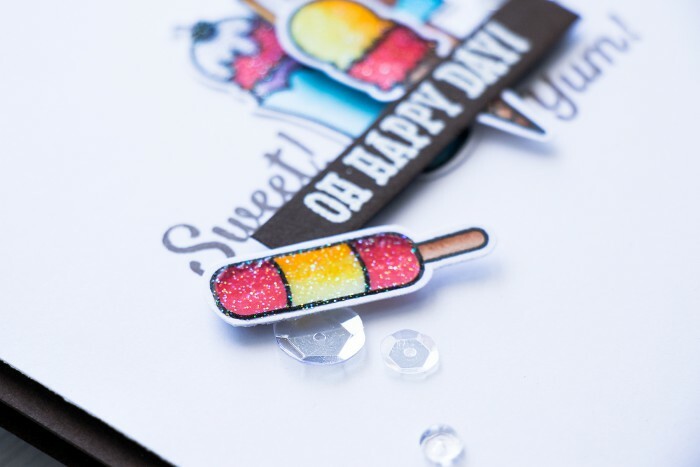 Ice cream and dessert images were fussy cut with scissors and sugar coated using Hero Arts Sparkle Embossing powder. I used embossing ink pen and added embossing ink just to the ice cream itself (not to the cones or sticks), I call this selective heat embossing, covered with Sparkle embossing powder and heat set it. I love how yummy these images ended up looking on the finished card. My sentiments were stamped using Hero Arts Brown Bark Ink or heat embossed in White Embossing powder onto brown cardstock. The card base was made out of brown, so I wanted to avoid using black as much as possible. 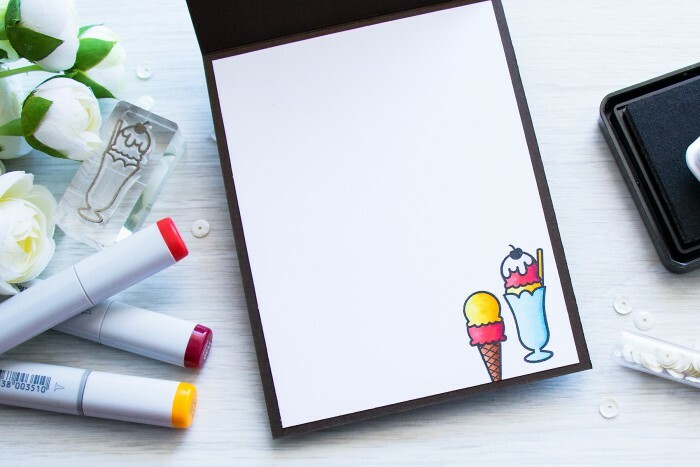 Because the card base was made out of dark paper I also included a white panel on the inside and stamped a few additional images to continue the ice cream theme. Such a yummy card! Love the sugar coating. It’s great outside and inside! thank you, Rosemary! I almost never use brown, but I’m happy I did here.